Some Russian defense news from Tuesday, April 24 . . .
Deputy Prime Minister Dmitriy Rogozin generated a good bit of news during his visit to the Urals last week. It’s hard to keep up with him. In a sense, it’d be a real shame if he’s not in the next government. Krasnaya zvezda published a wrap of his remarks. Rogozin indicated Russia will demand the best new weapons from its OPK, not “metal hulks” that are soon scrapped. He laid out his reasons for not buying foreign armaments. And, he says, Russia doesn’t want to be China, blindly copying foreign models. But he said his country still wants ideas and technology, if not a lot of hardware, from abroad. 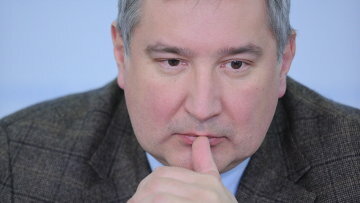 Rogozin blames Russia’s space launch woes of the weakness of its “element” or component base. RIA Novosti reported his assessment that Russian military electronics lag foreign developments by 5-12 years. Russia doubled its investment in electronics last year according to Rogozin. In some non-Rogozin stories . . .
Militaryparitet.com cited a blog citing Interfaks to the effect that Kurganmashzavod will not be asked to renew production of BMP-3s for the army despite earlier indications it would. The item notes the President’s polpred in the Urals saying the army has also declined to buy the BMD-4M. Mil.ru wrote about Ka-52 helo training at Chernigovka army air base in Primorskiy Kray. More than half the base’s pilots already practiced on the Ka-52 at the Torzhok training center. Chernigovka will be completely reequipped with the new helo this year, according to the Defense Ministry website. The “intensity” of flight exercises at the base doubled over the last year and increased 45 percent in the first three months of 2012. Mil.ru also mentioned the completion of LRA training in the Far East. There were 40 bomber flights and ten cruise missile launches on the Litovka range according to the Defense Ministry. Vzglyad citing Interfaks reported on Irkut’s president saying the company will make a combat version of the Yak-130 trainer. It will have greater thrust and be intended for Russia and for export. Last, an update on the Belevitin corruption case. Former GVMU chief, Aleksandr Belevitin faces malfeasance and bribery charges that could net him a total of 22 years in prison. Pretty harsh by Russian standards. The state is also seeking 51 million rubles in damages from him. His defense is still examining the prosecutor’s case against him. Recall the state believes he and his deputy took bribes in return for procuring overpriced MRI machines from a foreign firm. This story should be of particular interest to those following the VDV, Ground Troops, and their combat vehicles. The specific problems of KMZ illustrate general dilemmas of the GOZ. The GOZ money trail is slippery. And it explains why modern, or at least new, weapons and equipment aren’t produced or delivered, and the GOZ is only partially fulfilled. RIA Novosti (via Vedomosti) reports the Defense Ministry filed suits against Kurganmashzavod (KMZ), of “Tractor Plants” Concern, for breaking GOZ contracts. KMZ, in turn, entered three countersuits seeking 1.5 billion rubles from the Defense Ministry for violating its contracts. KMZ claims the Defense Ministry stopped accepting its products in fall 2010, causing the factory to fail to meet its obligations. RIA Novosti reports First Deputy Defense Minister Aleksandr Sukhorukov said KMZ would be fined 3 billion rubles for breaking its 2010 contract to produce the BMP-3. Two billion has also been cited. The first hearing will be next week. Nakanune.ru indicates KMZ had no GOZ contracts for 2011, during which the plant counted on 12 billion rubles worth of production. Instead, it produced only 4.7 billion worth for the first eight months of the year. In May, Main Military Prosecutor Sergey Fridinskiy pointed to KMZ as a prototypical failure of the GOZ. The factory got an advance of 350 million rubles but, instead of sending money to its sub-contractors, it used it on internal needs. Kozyulin says they have the same problem in other enterprises, “but ‘Kurganmashzavod’ fell right under the chop.” He says it won’t go well for KMZ, and the Defense Ministry may refuse to give the factory future orders. Nakanune also cites CAST analyst Dmitriy Vasiliyev who agrees this isn’t just KMZ’s problem, but a problem of the Gosoboronzakaz as a whole. Igor Korotchenko suggests KMZ has little chance of winning its case, and needs to seek an out-of-court settlement. But perhaps it’s too late already. It may be that KMZ is being made into a convenient example because others want to take it over. It is an area of the OPK that could stand some consolidation. 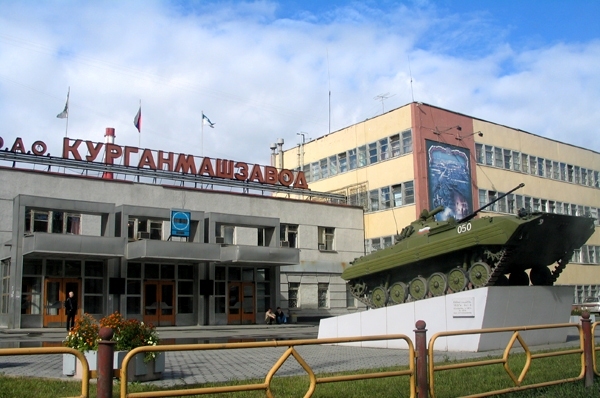 Kozyulin suggests troubled KMZ should merge with Uralvagonzavod (UVZ). UVZ and Russian Machines are apparently after KMZ parent “Tractor Plants” Concern. They’ve approached Vnezhekonombank, which owns 100 percent of its shares, about managing “Tractor Plants” Concern, but the choice of a managing firm has been put off until 2012. It certainly sounds like KMZ is headed downhill. The dueling law suits, the untangling of KMZ’s management, and, at some point, the reorganization and restoration of its production capability will take time. This means possibly years of delays in filling armored vehicle orders for the VDV and Ground Troops. You may recall United Russia member Igor Barinov excoriated KMZ earlier this year for its poor handling of GOZ funds. VDV Commander, General-Lieutenant Vladimir Shamanov also blamed KMZ for delays in getting the first BMD-4Ms for his troops. Last Friday’s NVO printed an interesting editorial that discussed arms exporter irritation with Deputy Defense Minister, Armaments Chief [former Commander of Space Troops and ex-General-Colonel] Vladimir Popovkin for publicly admitting the Defense Ministry’s dissatisfaction with many of the OPK’s products. The exporters are obviously upset that Popovkin’s comments have, and will, cost them sales abroad. But NVO concludes a greater danger would be trying to silence anyone–high-ranking defense official or independent defense analyst–who dares point out the OPK’s problems in the hope of remedying them. The Greeks have apparently called off a purchase of 420 BMP-3s for $1.5 billion (let’s call it $3.6 million per vehicle). The deal had been 2 years in the making, and it wasn’t the state of the Greek economy that caused the halt. According to NVO, the money was already in the defense budget. Rather it was Popovkin’s specific criticism of the BMP-3 that folded the deal. Greek journalists published his remarks, and opposition politicians turned them into a scandal: how can you buy unsuitable equipment that even the country that makes it won’t buy? Popovkin also complained about the T-90 that the Indians are buying, the tank support combat vehicle (BMPT) that Rosoboroneksport recently demonstrated at an arms show in Kuala Lumpur, and other equipment which the army won’t buy for one reason or another, but which is put forth for export and actively advertised there. NVO says this truth is very important; it could help the powers-that-be uncover the problem areas, fix them, and produce the modern equipment needed for the defense of the country’s interests. Without an honest discussion, the deficiencies can’t be fixed. But the Kremlin, government, the legislature, executive organs, or the regions won’t undertake any serious measures against negligent managers. Despite constant talk of state arms programs, federal programs of technical reequipping of defense enterprises, in reality, with the exception of aviation and air defense firms, nothing is really happening. It’s moving at a snail’s pace. Or is it? Foreign buyers send in 33 warranty claims for every 100 Russian weapons systems exported. And the scandal with the Algerian MiGs didn’t teach the OPK anything. It would be possible to silence critics and protect military-technical cooperation with foreign countries and keep the profits coming to the budget and the manufacturers. But won’t the low quality of these systems, their inability to meet the demands of modern war, really be a negative advertisement? Does someone really think if they quiet the generals, together with the Moscow media, military analysts and experts then they can sell some kind of half-finished military goods to a serious buyer? Naive views worked out for illiterate dilettantes. NVO figures there are two ways out: either give up, lose export orders, and accept the situation or sharply improve the quality and effectiveness of Russian weapons, reduce prices and defects, and strive to be on the leading edge of technology. In other words, saving defense industry is in the hands of defense industry itself. And no one else. When it comes to combat vehicles, sniper rifles, UAVs, assault ships, night sights, and armor, the international division of labor in defense industry isn’t such a bad thing after all. It brings Russia closer to the ‘probable enemies’ of the recent past. But when it comes to nuclear-powered submarines and strategic missiles we still don’t know how to do them ourselves and no one’s going to sell us those. And [unless Russia remembers how and gets its OPK in order] it will remember national security the same way it remembers the long forgotten past. This is NVO’s way of telling the Putin-Medvedev regime it would be foolish to shut down this feedback channel that tells it what needs fixing in the OPK. Reports about Russia looking abroad for light armored vehicles and not buying BTR-80s and BMP-3s in GVP 2011-2020 came into better focus this week . . .
Kommersant talked to KamAZ officials who didn’t know anything about buying armor for vehicles abroad. Serdyukov said, in particular, they were talking about purchasing light armor from one German company (reportedly Rheinmetall). In Stoletiye.ru, Sergey Ptichkin writes that Rostekhnologiya’s Sergey Chemezov and FSVTS’ Mikhail Dmitriyev have concluded that the purchase of foreign arms for the Russian Army is a ‘done deal’ at this point. Dmitriyev said in particular that the political decision to buy Mistral has been made, and the contract will be signed this fall. Chemezov also said, reluctantly, that Russian armor really doesn’t meet the Defense Ministry’s sharply increased requirements, therefore purchases from Germany are justified. Ptichkin wonders what Rostekhnologiya’s [Chemezov’s] specialty steel holding will do if Germany supplies Russia’s defense industries. Media sources alluded to past statements by Deputy Defense Minister, Chief of Armaments, Vladimir Popovkin to the effect that foreign purchases would only be to ‘patch holes’ in the Russian Army and OPK. They imply that either arms imports have expanded beyond ‘hole patching,’ or the ‘holes’ are bigger than originally thought. 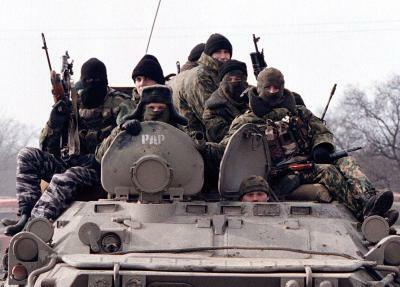 Nezavisimaya gazeta writes that buying armor abroad will be catastrophic for Russian metallurgy. Without part of the GOZ, they reportedly won’t be able to modernize. Uralsib metals analyst Nikolay Sosnovskiy said, without state orders, enterprises which still produce something won’t be able to survive. He said buying foreign armor for BTRs and BMPs will lead to buying it for tanks, which is much more costly. Sosnovskiy says armor orders were ‘second tier’ for the past 20 years, so no one was working on new types. On the other hand, Aleksandr Khramchikhin thinks the competition posed by foreign armor will force the Russian industry to improve. Despite this little uproar, it seems unlikely that the Defense Ministry or Russian government are suddenly ardent fans of free trade in all things. Moscow’s economic management remains more paternalistic and state-directed than that. Rather purchases abroad are probably viewed as the only way to: (a) rearm Russian forces quickly with badly needed high-quality arms and equipment; and (b) shake the OPK enough to get it started on the road to competitiveness.